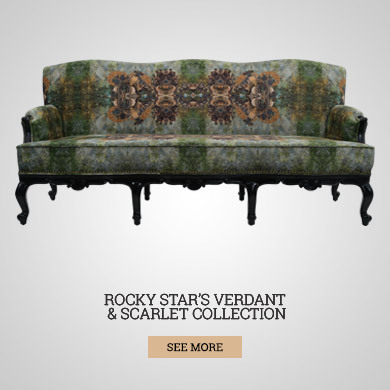 Defining the quirk quotient, Rocky Star presents a high fashion home décor line in collaboration with Bent Chair. 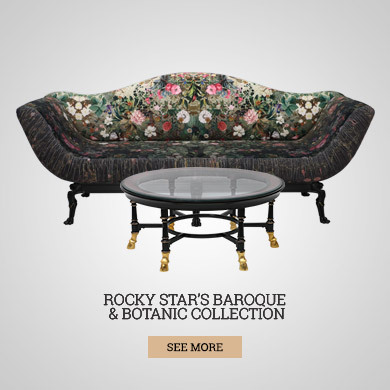 The collection showcases his watermark designs as well as a baroque and chic botanical pattern in vibrant hues. 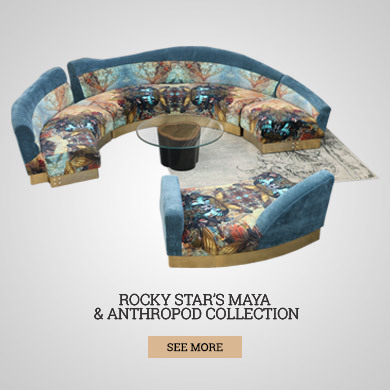 Get the feel of couture into your homes with the eccentric summer spring collection, presenting the ethereal Jewel Anthropod and the mysterious Maya collection impressed on furniture and dinnerware accessories. Bent Chair is bringing avant-garde home décor one collection at a time.